Pulling a caravan this summer? If so, you may like to see these towing records, proving that the average SUV is a lot more capable than you might think. The first film shows what looks like a perfectly ordinary Land Rover Discovery Sport, the popular seven-seat SUV. But when it drives up onto railtracks and lowers two pairs of small steel wheels from its chassis, what happens next is most definitely not an everyday occurrence. 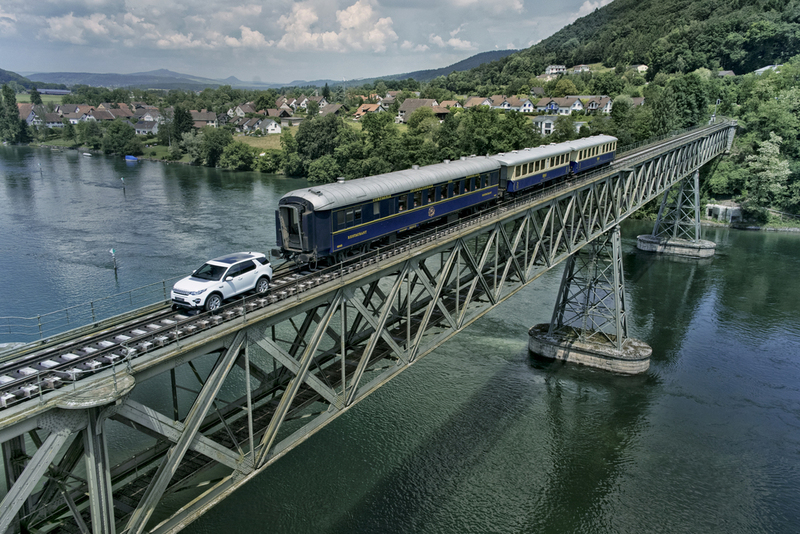 The Land Rover is hitched up to three train carriages weighing 100 tonnes. It then pulls them down the line, using nothing more powerful than its standard 2-litre diesel engine and four-wheel drive system. The publicity stunt took place last week, and required nothing other than a set of guiding wheels to be fitted to the Discovery Sport. These kept the car from falling off the rail tracks on a six mile journey through Switzerland that saw it cross the River Rhine. It isn’t the first stunt of its kind. Land Rover did much the same for the launch of the original Discovery Series I, in 1989. And car makers or thrill seekers around the world have attempted other attention-grabbing pulling-power stunts, that have injected an adrenaline shot into one of the most sensible driving experiences known to man: towing. Measuring just over 230ft from tip to tail, boasting a wingspan of 200ft and standing at more than 60ft tall, there is no disputing that the Boeing 747 is a heavyweight of the skies. Weighing in at 155 tonnes, it is considerably larger than a family car, even a large family car like the Volkswagen Touareg. Surely, a 2.5 tonne 4×4 can’t pull a giant jet plane? Watch this classic clip from Fifth Gear, which pulled a Jumbo at Bruntingthorpe airfield in Leicestershire, to find the answer. The Space Shuttle Endeavour may not be as large as a Jumbo Jet, or as heavy, but it occupies a special place in the hearts of all who follow space exploration. So when it was retired from service in 2012, it needed to be transported from Edwards Airforce Base in California, to the California Science Center, in Los Angeles, for permanent display. After flying it to LA, the only way to move the Endeavour was by road, and that’s where Toyota’s Tundra stepped in. The popular pick-up truck pulled the 130-tonne Endeavour along a road route, and the Internet broke out into a war of words over why NASA didn’t choose an American car maker for the job – despite the Tundra being built in Texas. Most of us have had a go at skateboarding and come away with one body part or another looking battered and bruised. So we salute Steffen Eliassen, the fearless Norwegian who dared to hold on to a tow rope as a Tesla Roadster electric sports car accelerated up to speeds of more than 90mph. Falling off his board at such speeds could have had catastrophic consequences. But Eliassen somehow kept his legs from turning to jelly and set a Guinness World Record for the fastest skateboard to be towed by a car. Amazing, considering most caravan owners can’t tow theirs down a Devon lane to and from the campsite without requiring every other road user to allow 15ft clearance. And don’t start me on campervans, or reversing skills. It’s a shame I only drive 3.5T up to 16T vehicles and various trailers on the same roads all year round without incident. All the horsepower in the world means nothing if there’s a donkey behind the wheel.